I am looking at a map of the Houston area on Google Maps, not always the most reliable in terms of signage, but was curious the route that US 90 follows through Houston. It is my understanding that the multiplex with I-10 isn't signed anywhere, is that still correct, even after the Katy Freeway reconstruction? I'm looking at the map to see where 90 goes after it's journey with I-10 on the west side of Houston, and before it's stint as the Crosby Freeway. Check out the map below. It looks like it either follows the "red" path (marked by Google as TX SH 90) or it briefly joins I-610 the East Loop, before breaking away (the green path). Which is the correct route, and is any of it signed? The TX SH 90 (red line) is supposed to be Alternate US 90. The Main US 90 is the green path outline in the map. I see. From StreetView, it looks like neither Alt. 90 or 90 are signed for traffic on I-10. Interesting. I think I saw somewhere that the uncompleted section of the Crosby Freeway (now u/c) is officially designated as mainline US 90 in the area, with Beaumont Highway from I-610 to Beltway 8 officially Business US 90 (of course Business 90 continues on to Crosby from there). So technically, there is a "gap" in the route of US 90 there. I don't know how Beaumont Hwy. is signed (90 mainline? BUS 90?) so as to whether the gap is in fact as well as on paper is not for me to answer. Of course, seeing that US 90 apparently isn't signed through much of Houston anyway, this may be moot in any case. I was in that part of town earlier this week. They are currently working on extending the Crosby Frwy from Beltway 8 to the I-610/I-10 interchange. They are working on a nice size flyover in that interchange that will take traffic from I-10 east to the future Crosby Frwy. On the other end near Beltway 8, they currently have the tar prep laid and concrete looks to be poured soon. 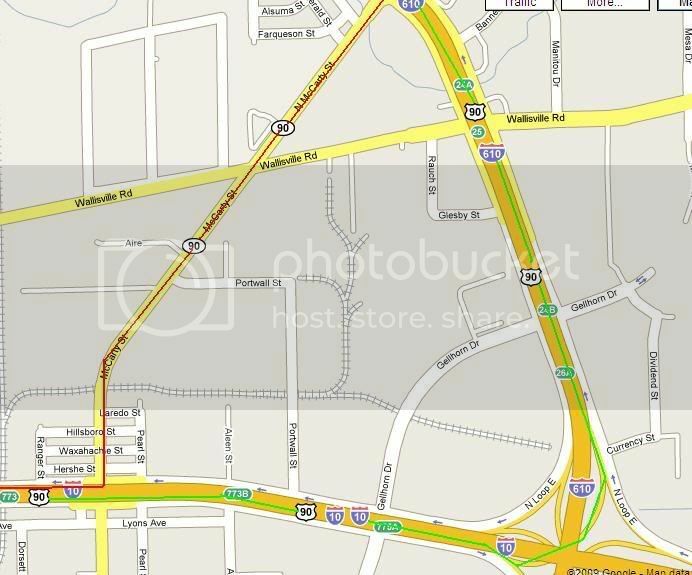 And Schooner is right, U.S. 90 isn't signed at all through Houston. U.S. 90 Alt, however, is. I kinda think that the Alternate route should be U.S. 90 anyways. Cause through Texas, 90 is multiplexed with I-10 a lot of the time and not even signed. To go along with all of this. The entire I-610 northeastern quadrant is being widened/resurfaced. I went through there yesterday and they are installing a lot of new sign bridges and have laid new concrete down in the center of the freeway. Looks to be pretty nice when it's completed. There used to be signs that indicated US 90 was multiplexed with I-610 north of I-10 and even had the town of Liberty indicated as the control city. 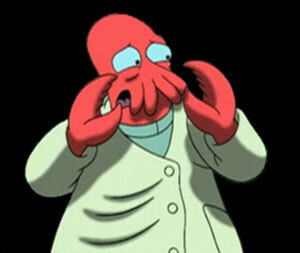 Dr. Zoidberg/njroadhorse - Once the Crosby Freeway makes it to the 610/10 east interchange, that rerouting of mainline US 90 wouldn't make sense anymore...until then though, it's probably a good idea. I thought it overlapped with I-10 between Katy and Downtown, then followed Liberty Rd./Beaumont Highway northeastward.